Some believe increased metabolism may be among the benefits of drinking green tea. But there's scant evidence to support that idea. It's a tantalizing idea, isn't it, that we could burn stored fat simply by nibbling or sipping on something that tastes good. Plenty of companies are now capitalizing on the allure of "metabolism boosting" foods and drinks. 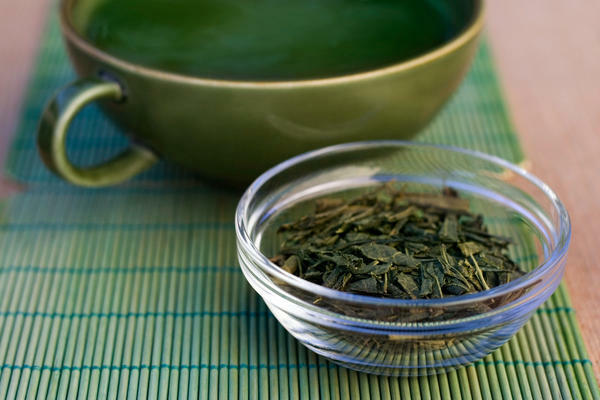 Among the most-hyped substance is green tea — for its supposed powers as an aid for weight loss and weight maintenance. You don't have to look hard to find these claims. Dr. Oz has asserted that just one cup of his Tangerine Weight-Orade, which contains green tea, will "boost metabolism 12 percent." Women's Health magazine described "green tea's weight-loss magic" even in ice cream. And dozens of green tea drinks and pills for sale claim to help you burn more fat. There's a long tradition in East Asia of drinking green tea for health. But as scientists have tried to test the belief that green tea will help you keep off the pounds, they've largely come up short. Take the work of Rick Hursel of Maastricht University Medical Centre in the Netherlands. He published a review study that found green tea may slightly increase metabolism. "We've shown that green tea is able to increase your energy expenditure — so the amount of calories you burn — and also to increase the amount of fat you are burning," Hursel told NPR's Allison Aubrey in 2012. Other studies have established that green tea contains caffeine and catechins that stimulate the nervous system, which can increase thermogenesis (burning stored energy) and fat oxidation. "The caffeine in green tea could raise your metabolic rate ever so slightly, but it wouldn't have a different effect than coffee," Michael Jensen, an endocrinologist at the Mayo Clinic, tells The Salt. And could green tea consumption actually lead to lasting changes in people's metabolism or to weight loss? The weight loss effect in Hursel's study was small — and perhaps only fleeting. And another study published in the European Journal of Clinical Nutrition in 2009 found that green tea extract had no effect on the resting metabolic rate of 12 normal weight men. A larger meta-analysis of the research on green tea published by the Cochrane Review found that green tea led to only small, statistically insignificant weight loss in overweight or obese adults. The review also noted that regular consumption of green tea didn't help people keep weight off. All that said, green tea very likely has other healthful properties. Early studies suggest that flavonols in tea play a role in helping to regulate blood pressure. And as I've reported, regular consumption seems to be associated with longevity, at least according to the Blue Zone Project. As National Geographic explorer Dan Buettner's Blue Zones Beverage Rule goes: "Drink coffee for breakfast, tea in the afternoon, wine at 5 p.m."
As for other metabolism-boosting products, stay tuned. Nestle claims its researchers are developing products that "could emulate the effects of exercise on the body's metabolism" and would help people who are obese and those with chronic metabolic diseases, such as Type 2 diabetes. But Jensen of the Mayo Clinic is skeptical that we'll ever find a way to magically boost our metabolism. "Unless you've gained or lost a lot of weight, your metabolism stays pretty stable over time," he says.